Clarence James Inman, age 82, of Old Fort, North Carolina passed away Sunday, September 3, 2017. He was born in Buncombe County to the late Byrd and Katie Kelly Inman of Black Mountain, North Carolina on August 22, 1935. Clarence has been a resident of Old Fort for the last twenty two years. 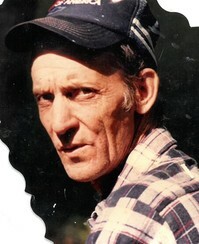 He retired from Camp Rockmont after fifty years of service (1959-2009). He was a veteran of the United States Marines Corps. He is survived by his wife of sixty years, Norma Robinson; six children, Randy Inman of the home, Gary Inman of Swannanoa, Ricky, Roger, Cherry Brendle and Debra Smith of Old Fort; a granddaughter McKenize Inman of the home; three sisters, Betty Thomas, Mary Robinson of Old Fort and Maggie Robinson of Black Mountain. Also surviving Clarence are seven grandchildren and eight great-grandchildren. 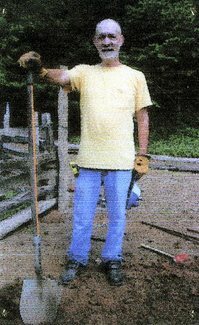 Virtually every individual who has been a Rockmont camper or staffer has a visual of Clarence etched in their memory. There have not been many days during Clarence's 50 years as Grounds Manager when one could have toured Rockmont and not seen Clarence on a tractor, with a shovel or rake in hand, on a ladder applying a fresh coat of paint, mulching gardens, etc. Being the head groundskeeper for a 600 acre facility with a reputation of being among the most beautiful camps in the country is a career one can be proud of. Clarence was a kind and gentle soul and will be missed! Two of his boys, Rick and Gary, continue his legacy as the Rockmont groundskeepers. More reason for Clarence to be proud.